Starring: Paddy Considine, Dean Palinczuk, Olivia Colman, Shane Meadows, Richard Graham, Seamus O’Neill, Alex Hunter, Matt Helders, Nick O’Malley, Jamie Cook, Nigel Reeks. Director Shane Meadows is no stranger to low-budget filmmaking. In fact, most of his films to date have been made with relativity tight constraints. This time around, he goes that one step further and makes an all-out, fly on the wall mockumentary, which also happens to be his third collaboration with actor Paddy Considine. 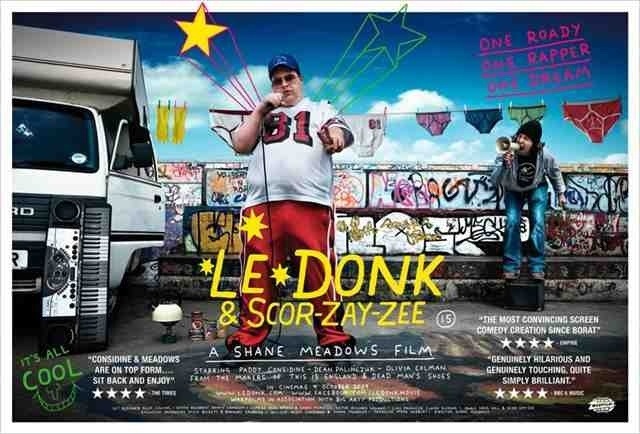 Documentary maker Shane Meadows (playing himself) follow the life of music manager Le Donk (Paddy Considine), who reckons he’s unearthed a new talent in rapper Scor-Zay-Zee (Dean Palinczuk). As a slot with band The Arctic Monkeys opens up, the would-be manager and his protege hit the road to try and make a name for themselves. If the brilliant “A Room For Romeo Brass” and “Dead Man’s Shoes” were anything to go by, you’d be forgiven for getting very excited about the prospect of Meadows and Considine working together again. I know I certainly was. Unfortunately, this film isn’t quite up to their previous high standards. In fairness, they’ve adopted a different approach but for a film with a running time of just over an hour you’d expect it to move briskly and get down to telling it’s story. In the early stages it does this, with some hilarious observational humour and “kitchen sink” drama that’s reminiscent of Ricky Gervais’ “The Office” but the delivery soon becomes a bit stale. The idea is good, the performances are good but for a film to enter into this mould it needs to provide more laughs than it does. I’m sure it probably will appeal to many people but for me, as a big fan of Meadows, I had set my sites too high. It loses it momentum and relies too heavily on the presence of Considine and his perfect balance of ambition and desperation. He’s most definitely the highlight here. However, there’s only so much one man can carry. The humour and awkward situations are well captured but it essentially there isn’t much of a story and becomes not much more than a showcase for real-life rap artist and freestyler Scor-Zay-Zee, who’s not that appealing to begin with. An interesting, if unsuccessful, project from Meadows. He’s not made many bad movies and I wouldn’t say this is bad either. It’s just not as eventful as it could have been. This entry was posted on April 6, 2013 at 11:00 am and is filed under Comedy, Documentary, Drama with tags 2009. You can follow any responses to this entry through the RSS 2.0 feed. You can leave a response, or trackback from your own site. I read a review in the Guardian when this came out and it said that it was the funniest British film in years! I still haven’t seen it. Will check it out though. Really good review! Yeah, you should take a look. Totally agree on Considine. The man is just class and this is another fine show from him. Oh man, his name Scor-Zay-Zee is epic in of itself!! Yeah man, it’s a great name isn’t it? It’s an interesting little film but just didn’t quite pack enough to hold my interest. Some people will absolutely lap it up though. It is, but not quite enough for me. Literally never heard of this until now! Sounds pretty interesting though. I’ve been meaning to check out Dead Man’s Shoes for a while as I’ve heard some really good things about that. Nice write up as usual mate! Cheers Chris. I’m not surprised that many won’t have heard of this. I follow all of Shane Meadows’ films so it was on my radar for a while. Didn’t match his best stuff but entertaining enough. You should definitely check out Dead Man’s Shoes though. That’s a brilliant film. I’ve never even heard of this Mark, what a bizarre title, ahah. 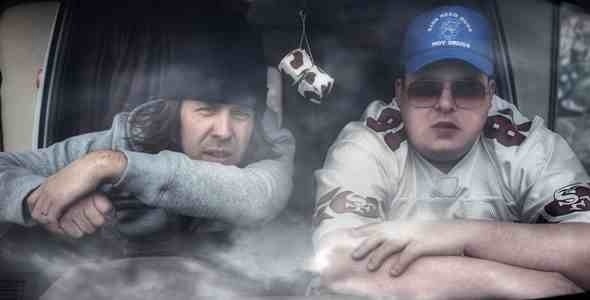 I dunno though, it doesn’t immediately grab me, but I’ll give other Shane Meadows’ films a try one of these days. This definitely won’t be for everyone Ruth but it’s a good idea. Reminiscent of The Office or This is Spinal Tap in it’s structure. Meadows has done much better, though. It’s a decent little flick and was supposedly praised by critics but not Meadows’ finest by any means. I have to admit that I have never heard of this one. I loved Dead Man’s Shoes though so maybe I will give it shot one of these days. Paddy Considine always impresses me. Great actor. Hey there Griff, thanks for stopping by again and for the recent follow. Much appreciated, man. I’m not surprised you haven’t heard of this. A lot of people haven’t and probably is a bit more well known in the UK. I think it might have been an experimental film that went down really well with critics. I feel like I’m short changing it with my rating but I did expect more. If your a fan of Considine then it is worth a look. You should also check out A Room For Romeo Brass. Considine is absolutely superb in that. A total nutcase. Wow, that’s quite a title… Great review, doesn’t sound like one I’d necessarily see though. But this is the first time I’ve heard of Meadows so I guess I should look into his stuff. Oh, you should definitely look into Meadows, Garrett. Especially “This Is England” and “Dead Man’s Shoes”. Two top class movies and “A Room For Romeo Brass” is great as well. Meadows has made quite a name for himself in the UK over recent years and rightfully so. I’ll try to see one of those then. Thanks for the recommendation! No bother, man. Hope you enjoy them as much as I do. I’m sure you will.